Now I missed travelling on a tram by just a matter of years, but had I been born a little earlier I might well have been on this one that rattled its way up from the Old Kent Road to Westminster. And just possibly also taken the 44 and 46 which connected Eltham with Woolwich. According to family legend I was actually there at New Cross when the last London tram took its last journey in the summer of 1952 but until yesterday I never thought I would come close to one. Now I know I could visit the London Transport Museum where there is a fine 1910 tram from West Ham Tramways Corporation, but my number 40 which was the one my dad would have used is even closer to home. 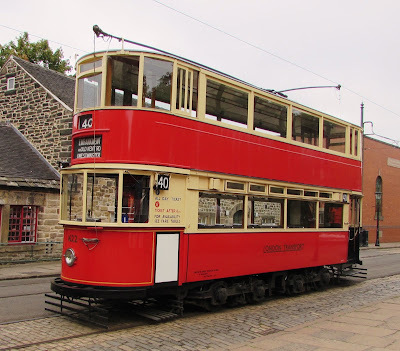 It is in the collection of CRICH TRAMWAY VILLAGE just south of Matlock which is no distance for me but I accept is a long way from south east London. But your loss is our gain and I have planned my visit. In the meantime I have settled for a picture of LCC number 1622 which plied route 40 from New Cross. 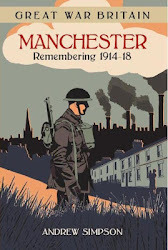 It comes from my old friend Andy Robertson who has been recording the changes to the twin cities of Manchester and Salford and decided to take an afternoon off and visit the museum. And there is plenty else to see from a Blackpool tram complete with its destination board announcing a Tour of the Illuminations to the Red Lion Hotel which was once in Stoke on Trent and facing demolition was rescued by the museum rebuilt and happily once again serves up a pint. 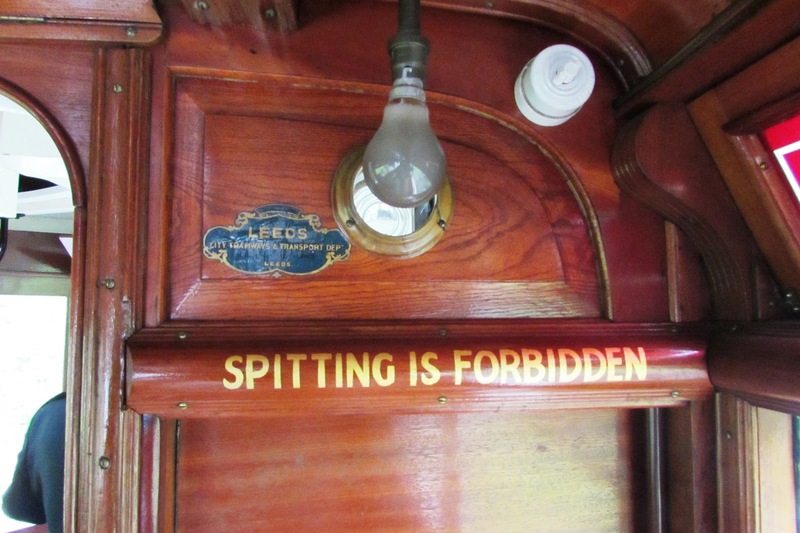 In his collection of pictures from the day is the sign on a Leeds tram informing passengers that “Spitting is Forbidden” which made sense in an age before antibiotics and the dangers from a range of infectious diseases was all too common. 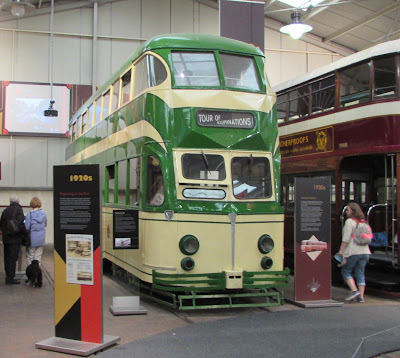 Which just leaves me to mention Trams in Eltham by John Kennett** and The Campaign To Save The London Trams by Ann Watkins which includes a chapter on that last tram at New Cross.